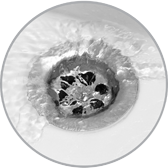 We Are a Trusted Clogged Drain Specialist in Queen Creek, AZ. The drain in your kitchen sink has become badly clogged and needs to be professionally cleaned. Over time, grease, food particles, coffee grains, fats, soaps and detergents will build up and block drain flow. You tried using a household drain cleaner to unclog your kitchen sink, but it did not do the job. If you want the drain in your kitchen sink to be safely and properly cleaned, we strongly advise you to contact our well established and reputable company today. We are an experienced clogged drain specialist in Queen Creek, AZ. that has been in existence for decades and can be trusted to offer you expert services. If you hire us, we guarantee that our trained technicians will arrive at your home on time and will find and fix the source of the problem. You can rely on us to use the proper equipment and tools to safely unclog the drain in your kitchen sink. We offer top quality services that will not be surpassed by any competing company in town. If you are seeking a first-rate clogged drain specialist, we guarantee that we will do the job right. Our crew is very reliable and has the expertise to properly unclog your clogged drain. Clogged drains are very inconvenient and can be disruptive to your daily routine. We understand how annoying a clogged drain can be and guarantee that our team will do the job right. We will not be outdone by the competition, which means you can rely on in our top-rate services. If you are looking for a top-quality plumbing company that will do an outstanding job, contact us today. We are a dependable and expert clogged drain specialist in Queen Creek, AZ. that provides expert plumbing services that will not be duplicated or beat. Give us a call today to setup an appointment.